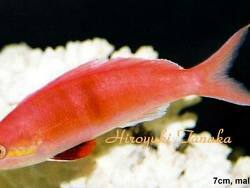 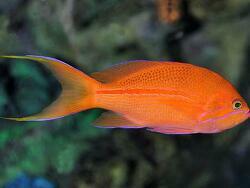 Anthias can be a great addition but they require special attention to diet, water quality, and space requirements. 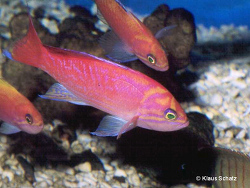 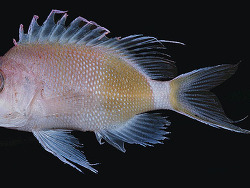 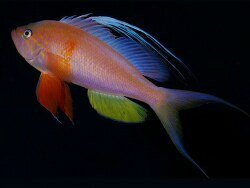 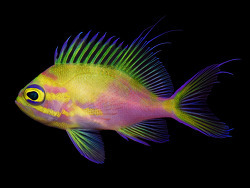 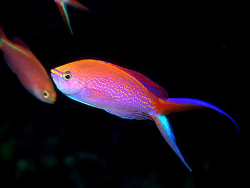 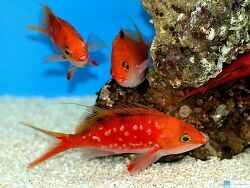 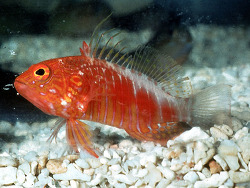 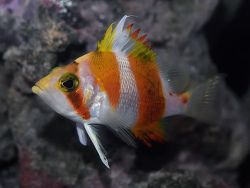 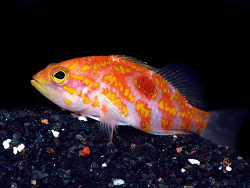 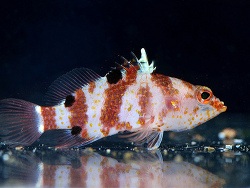 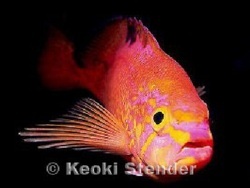 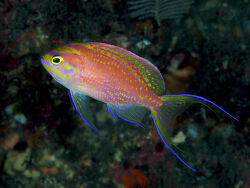 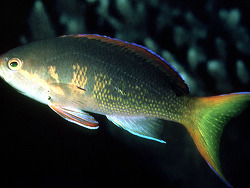 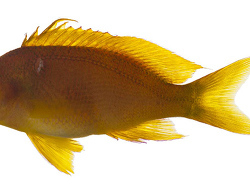 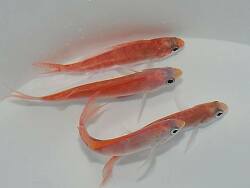 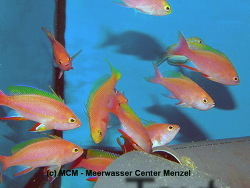 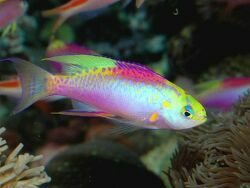 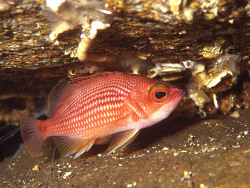 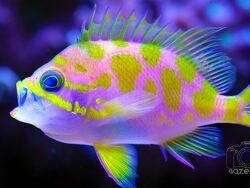 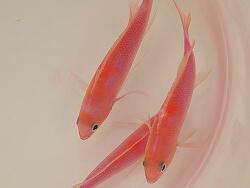 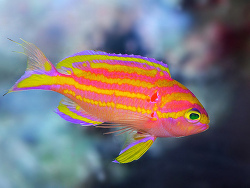 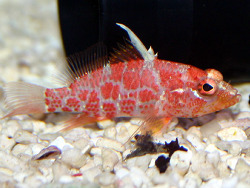 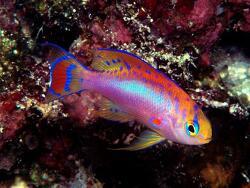 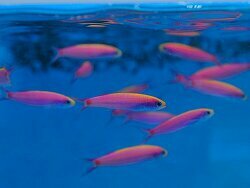 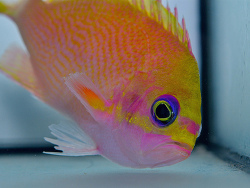 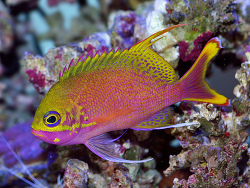 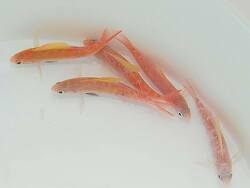 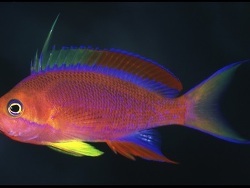 They are not for the beginning seawater-aquarist but they are one of the most brightly colored fish available. 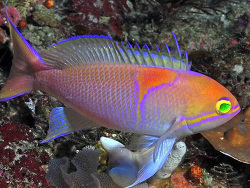 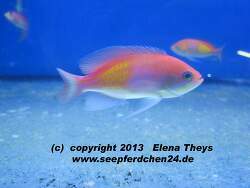 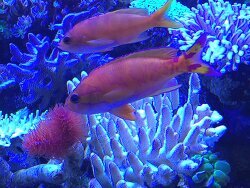 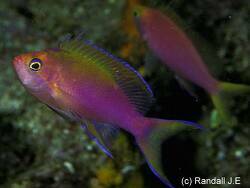 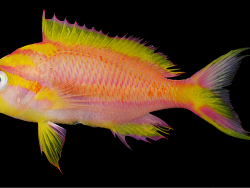 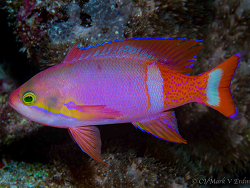 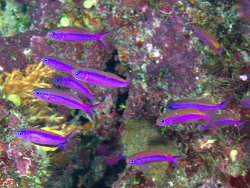 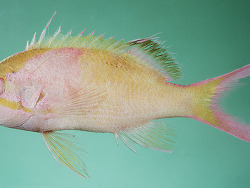 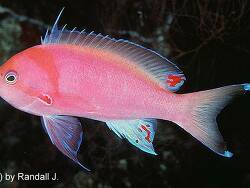 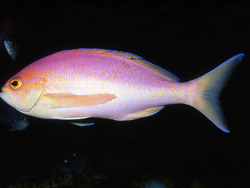 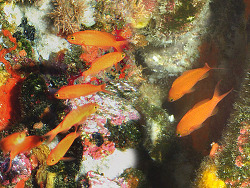 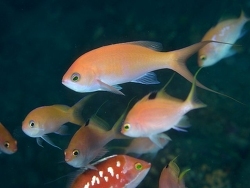 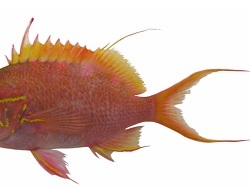 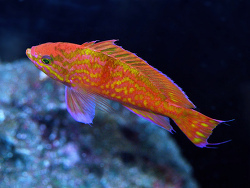 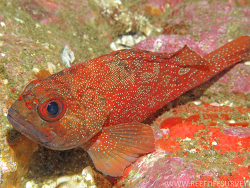 Anthias or Fancy Sea Basses (Anthiinae) are fishes they are closely related to true Sea Basses of their family namesake, Serranidae. 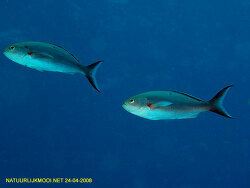 They range by species from hardy and aggressive to timid and delicate. 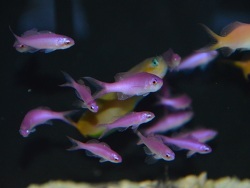 Most of the species are difficult to get feeding and require at least a large tank. 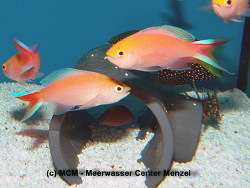 They can be kept singularly but do best in small groups of one male to 4-5 females. 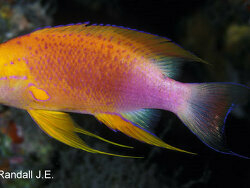 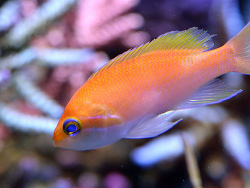 Anthias are not easy to keep but their beautiful coloration and active behavior are well worth the effort. 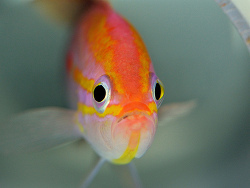 We would strongly recommend asking to see the fish eat before purchase. 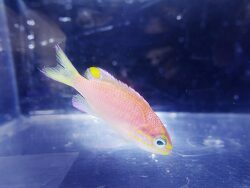 This will make the job of acclimation much easier. 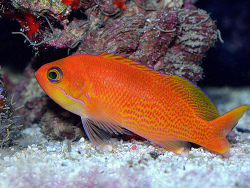 Anthias will hide in the rockwork when first introduced into their new home unless other established Anthias are present. 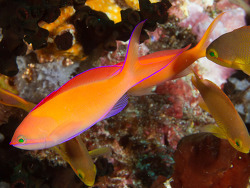 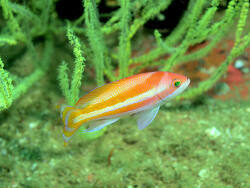 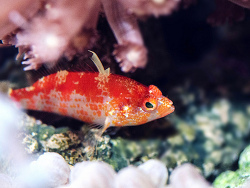 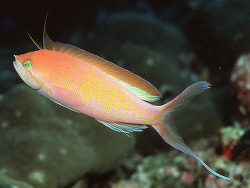 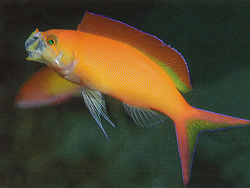 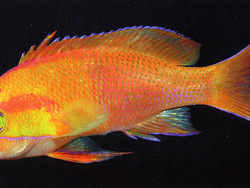 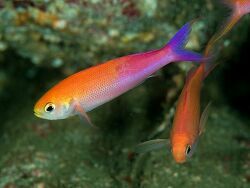 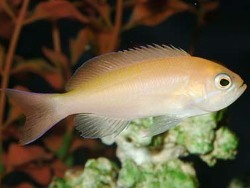 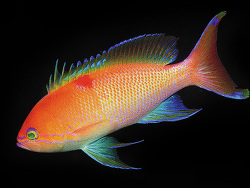 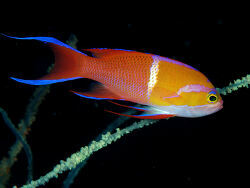 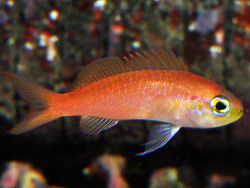 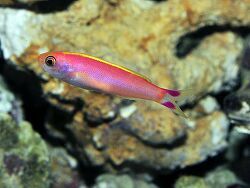 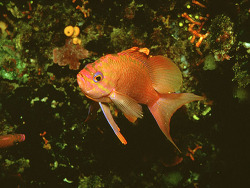 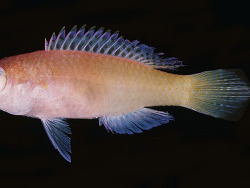 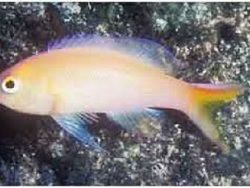 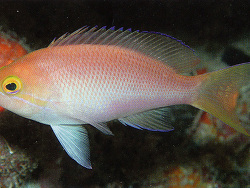 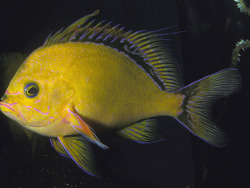 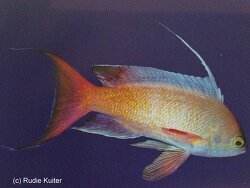 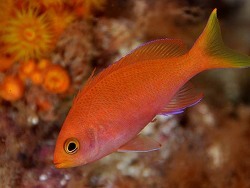 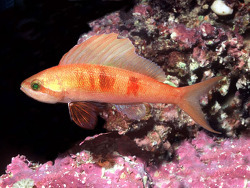 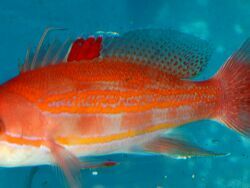 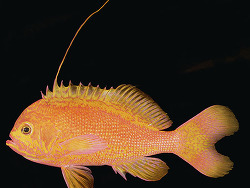 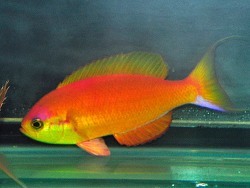 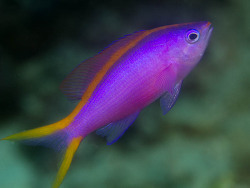 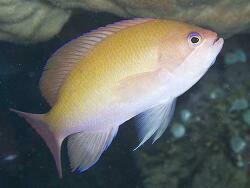 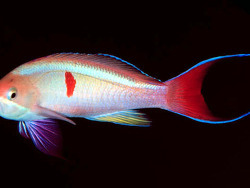 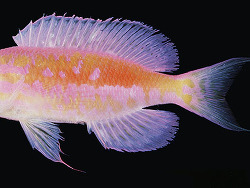 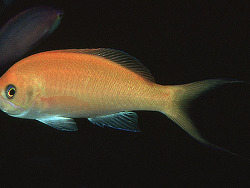 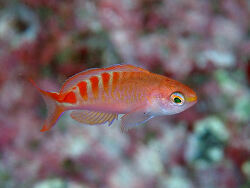 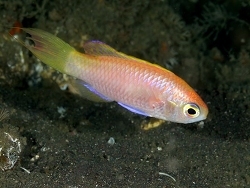 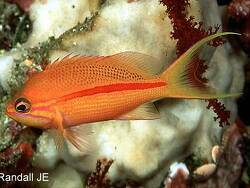 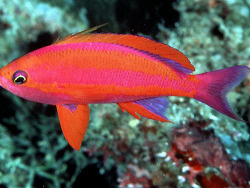 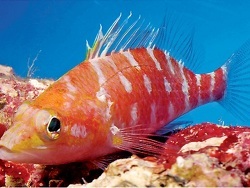 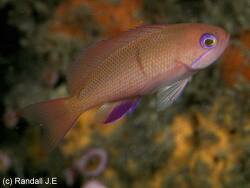 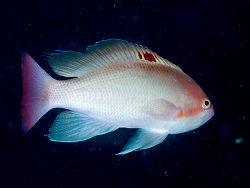 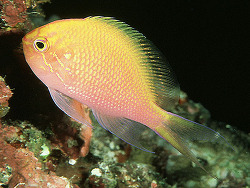 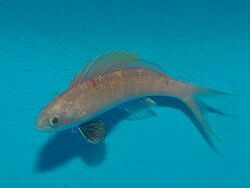 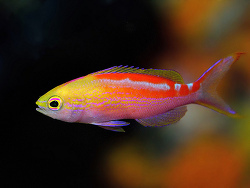 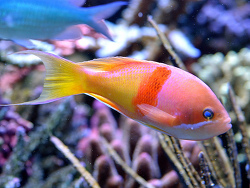 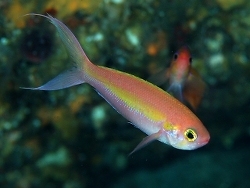 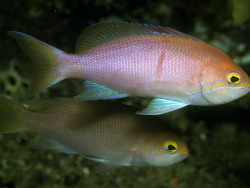 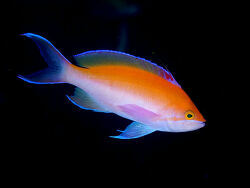 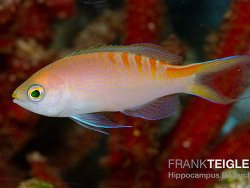 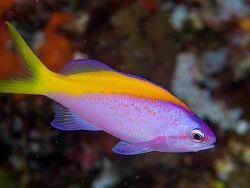 Anthias are active fish with a high metabolism so they often arrive quite thin. 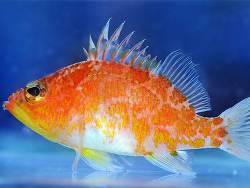 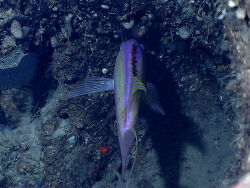 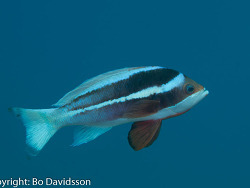 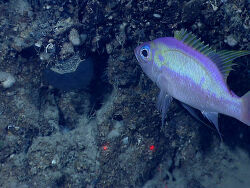 Be sure to look for a full-bodied fish that has clear eyes and fins. 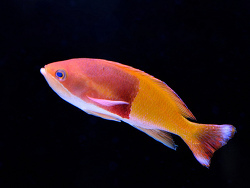 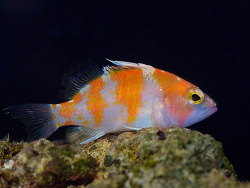 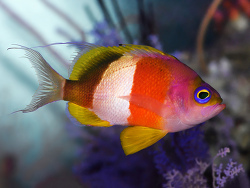 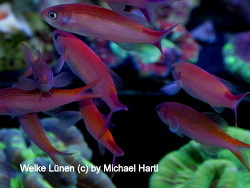 Most species of Anthias need to be housed with peaceful tank mates and require excellent water quality. 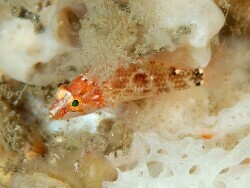 They must be provided with plenty of places in the rockwork to hide and sleep in. 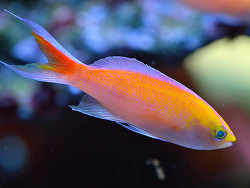 Anthias are zooplankton feeders in the wild and require to be fed at least 3 times a day, we would recommend best 5 – 6 times a day. 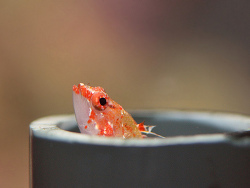 Living food like mysis shrimp, white shrimp, and enriched brine shrimp are good foods to get them feeding. 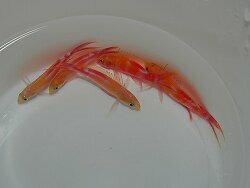 Once they become established they will eat meaty frozen foods. 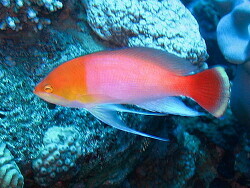 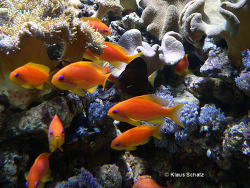 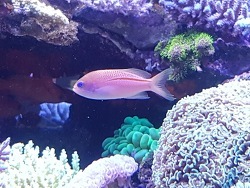 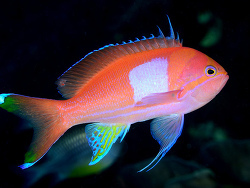 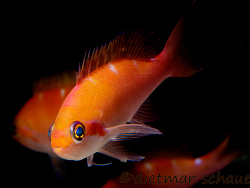 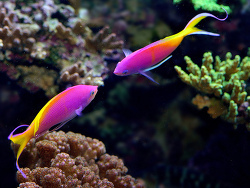 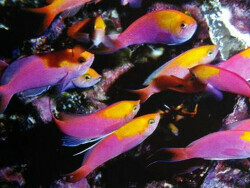 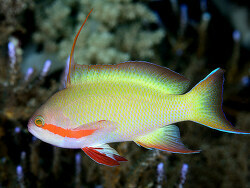 Anthias are get along well with almost all other reef safe fish.